Today’s society regards dogs as man’s best friend, but unfortunately, attacks by dogs that cause severe injuries are very common. Victims of dog bites can suffer from permanent disfigurement, scarring, nerve damage, and other serious conditions. The province of Ontario does have legislation in place designed to protect the public. Leash and muzzle laws, however, are often not enough to protect children and seniors, the weakest members of our society, who often become victims of unprovoked dog attacks. The expert legal team in Georgetown, Vaughan and Richmond Hill at RPC Law have the experience and resources required to successfully pursue a negligent dog owner and to recover the compensation that victims deserve and are entitled to. Our lawyers will ensure that all of the circumstances surrounding the attack are thoroughly investigated and that justice is served. If you have been injured as a result of a dog attack, you deserve to be compensated for your injuries. The experts at RPC Law have successfully represented victims of dog attacks from all over Ontario, and have recovered millions in compensation for victims and their families. 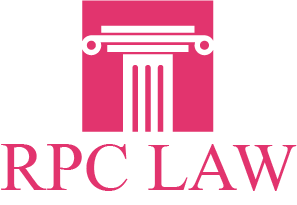 Contact RPC Law today in Vaughan, Georgetown or Richmond Hill for a free, no obligation consultation and put our professional legal team in your corner. We will ensure that you are treated fairly and receive all of the compensation to which you are entitled. Don’t suffer in silence. Call RPC Law now, and put the top team of personal injury lawyers on the case. We will ensure that justice is served.